We are glad to announce that warpx.io OS 1.2.0 release is now available! the FXOS8700 accelerometer and magnetometer on-board on the warpx_0x01 is now working by default thanks to the forward porting work on 4.1 kernel by TitusRathinaraj Stalin. You can test it using the instructions here. 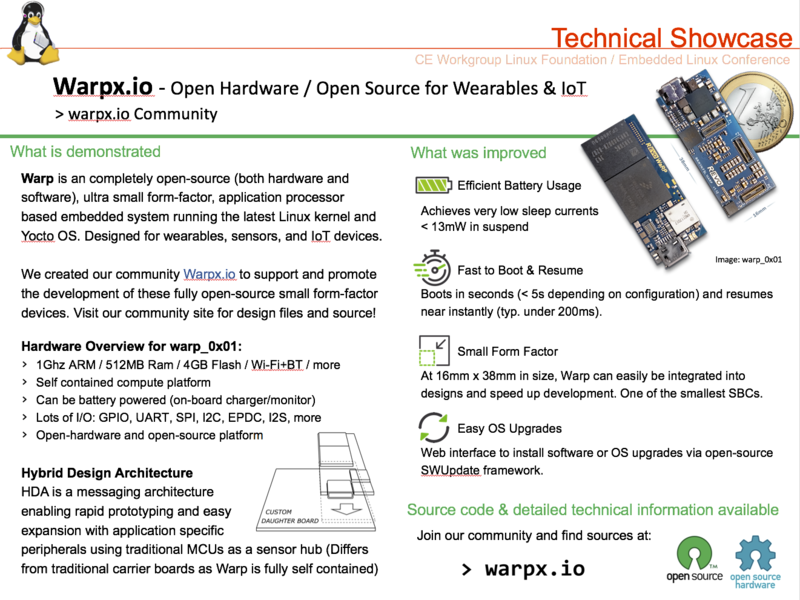 The warpx_1.2.0.swu upgrade file is available on our resources page and it can be installed on the warp_0x01 board following the instructions in the Easy OS upgrades with SWUpdate article. To build the release on your own from sources use the meta-warpx layer on github! If you have questions about the release meet us at the Technical Showcase at the Embedded Linux Conference Europe 2017 in Prague, October 23 – 25 or ask in our mailing list! Hey guys, the Warpx team will be at the Embedded Linux Conference Europe 2017 at the Hilton Hotel in Prague – October 23 – 25. We’ll be at the poster session. We are looking forward to meeting the community and newcomers! ELC is the premier vendor-neutral technical conference for companies and developers using Linux in embedded products. Now in its 12th year, the conference gathers user-space developers, product vendors, kernel and systems developers to collaborate. If you’d like to know more about show, see the event page. Download a copy of the above ELC Europe 2017 technical information here. Thanks for coming to ELC2017 in Portland! Thanks to everyone that came by to see our demo at ELC! We had a lot of fun talking to everyone and hope that you’ll join our community. We’ll be running the ELC promo for Warps for another few weeks and you can use the promo code: #ELC2017 at checkout when you get warp. 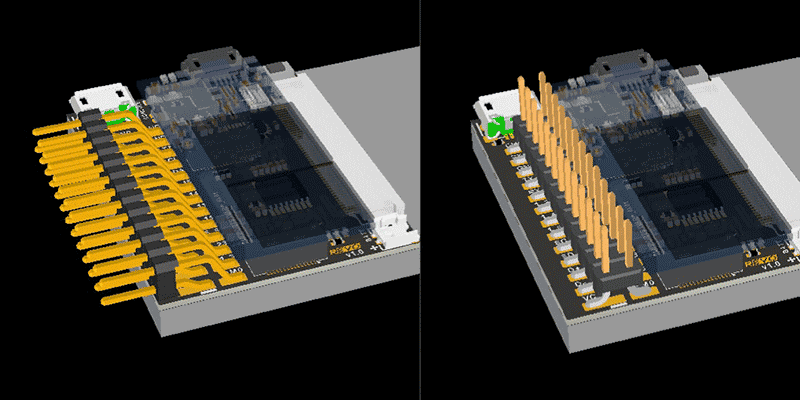 We will have the warp_0x01 ultra small form factor application processor on display at the 2017 Embedded Linux Conference in Portland Oregon, February 21-23 2017. In this post we present how to prototype a simple thermostat with warp_0x01 using the new 2.2” small display and the new tiny interposer. Both the display and interposer are included in the bundle, refer to this post. A simple QT5 application has been developed in Python and you can checkout the code here. The application includes a gradle script for fast deployment of the build artifacts on the warp via ssh using the USB eth gadget. Modify the gradle script to match your local connection between your host computer and the warp. PyQT5 is included in the warpx Yocto meta-layer. You can checkout the meta-layer from here. As a temperature sensor we selected the MCP9808 which comes in a nice package provided by Adafruit. Next we wire the sensor board to the interposer board as follows. After deploying the app, (gradle deploy) you can launch it. Remember to export the display (export DISPLAY=:0) from the shell if necessary. The application should display the ambient temperature. Enjoy! New 2.2” Display and Interposer bundle available! 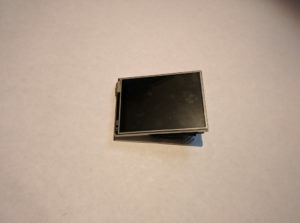 The new 2.2” display featuring resistive touch, bundled with a new small interposer is out! Available now here. This set up allows prototyping of small powerful devices featuring UI. warp_0x01 and the new display-adapter bundle. One of the great features of Warp is the ability to render a fully graphical UI. Of course this requires a screen and its subsequently one of the most common questions we get: what screens are availability? 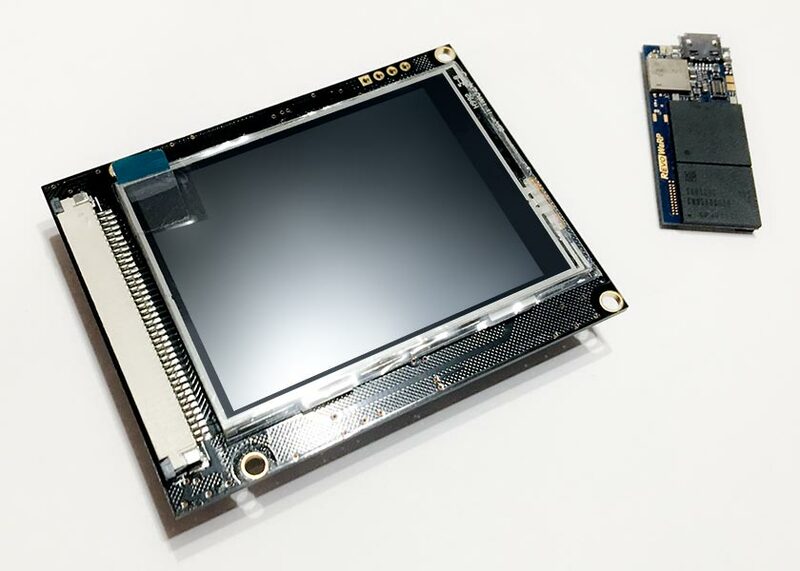 Back when we originally designed Warp, we paired it with a nice, but rather expensive 1.54″ MIPI display. While it was a great display it was made obsolete so many of the product driven components out there. But, not to worry, we have some great alternatives in the works. Here’s a sneak peek! This first one will be based around a 2.2″ LCD with a resolution of 320 x 240 and a resistive touch screen. 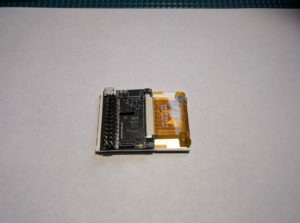 As one of the smaller displays this measures in at about 40mm x 55mm. To mount warp, we’re developing a carrier board that will fit behind the display, and Warp will click into it. The carrier board allows the display to be attached to warp along with the touch panel, but it’ll do more than just that. 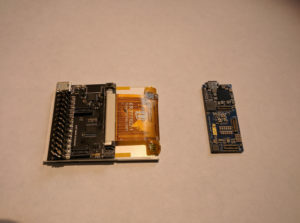 It brings out some of the common interfaces you would typically find on our much larger Interposer Development board. 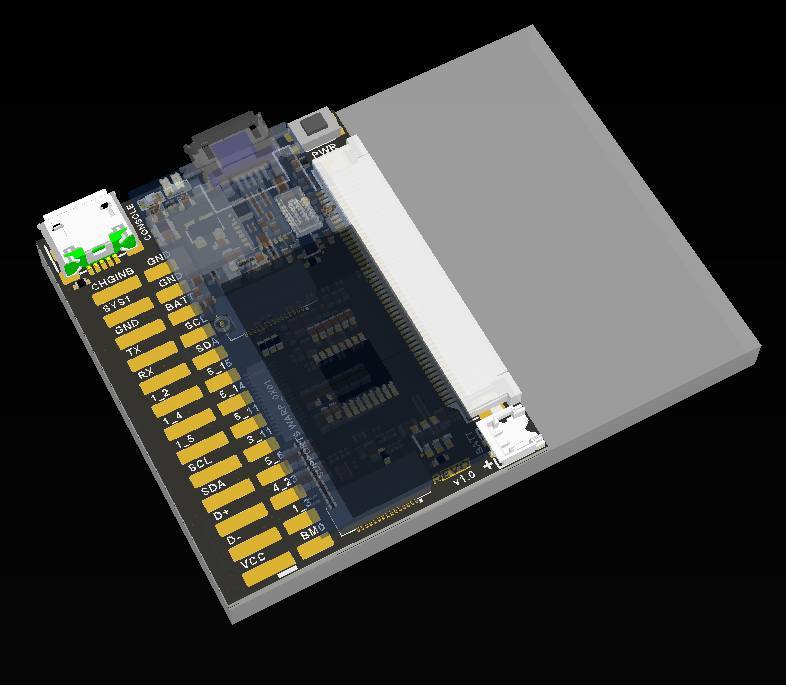 The small form factor carrier board adds features like USB serial console, boot mode pin access, as well as a nice collection of I/O enabling the pair (Warp + LCD) to be extended with a custom board. The I/O pads can be populated with either a right angle header or a vertical SMT headers making it easy to work with. We’ll be getting our first batch of these in soon so keep checking back. 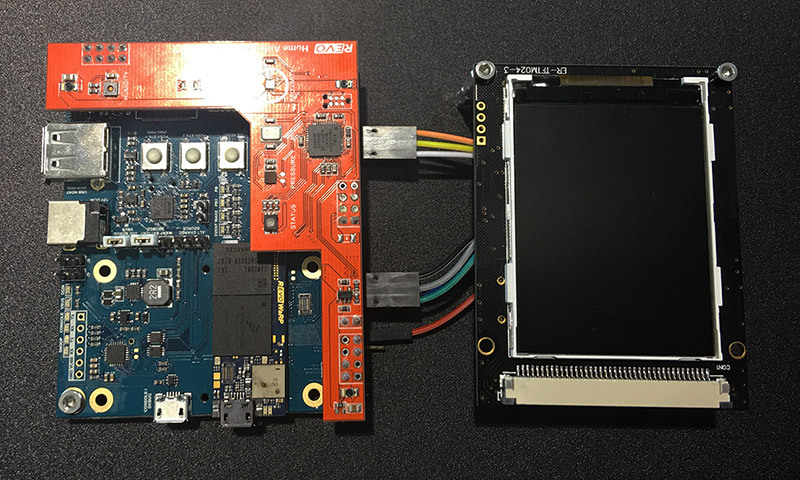 Let us know your thoughts and what you might want to do with this LCD module! 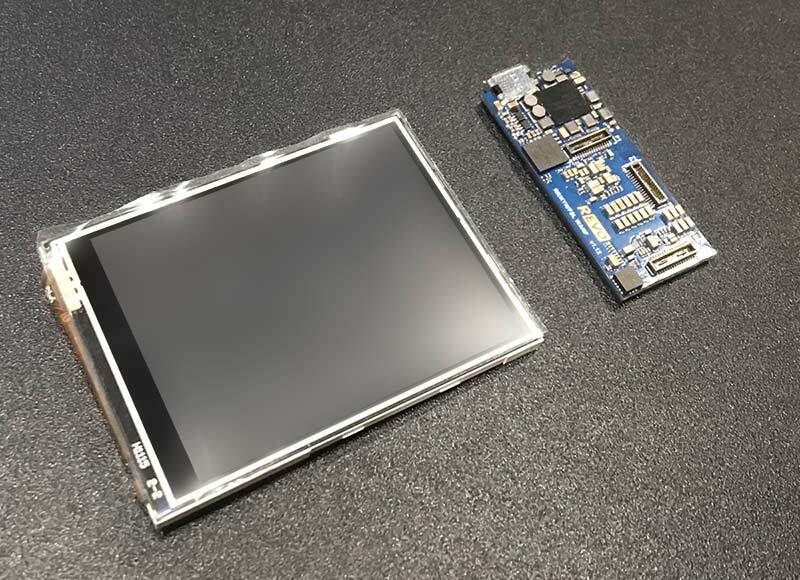 At WTC 2016 we showed Warp connected to a 2.4″ LCD module and got some great feedback about it. 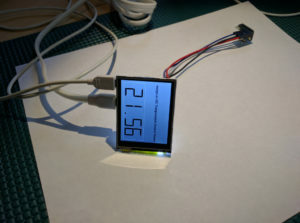 The display is pretty compact and has a nice 320×240 resolution so it is a great display for IoT projects. Even though the interface is SPI, it’s plenty fast and should work great for user interfaces. 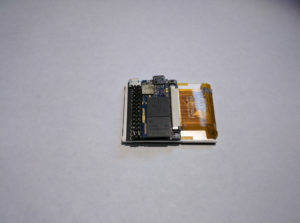 This display module is now available over at the Revotics store. 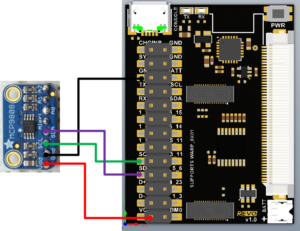 There is a wiring diagram (check the product page link in the store) which shows how to connect this LCD module to Warp via the Interposer Development Board. The Linux kernel that ships with Warp already has support for this display so once it’s wired up, it’ll just work. One great way to get a UI up for your device is using Python with Qt. Qt is a popular GUI library and Warp ships with Python and the PyQt5 module so you can get something on the display with just a few lines of Python. We’ll post more about this soon. We also have some cool developments for displays going on so keep you eyes out for that post!